Are the most expensive cities in the world in which to buy a home also the most expensive to live in? The short answer is No. Not too surprising really. One factor depends mostly on qualified supply & demand; the other depends largely on what the town –or the country- can provide in terms of goods, resources & services (with a hefty dose of taxes). Believe it or not, only a handful of the priciest cities when it comes to real estate are also in the top 15 most expensive places to live. Double jeopardy, you might say. Usual suspects like Paris, Tokyo are on that short list. As you might guess, if you have a lot of money, either or both of these high cost aspects are not likely to be a deal-killer. I mean, the wealthy homeowners -or soon to become homeowners-, in Paris for example, are not very likely to be overly concerned about the rising price of a gallon of milk. The shopping bill, however, can impact less fortunate “locals”. Many are progressively pushed out of the up-town districts and into more affordable suburbs (if not other regions, states or countries), while more fortunate buyers/consumers, predominantly foreigners, are taking a bigger share of the golden territory. That’s the picture that we see, a little more clearly every year, in metropolis like New York, Los Angeles, Miami, San Francisco, London, Paris, etc. Nothing new, although the trend is accelerating, as plenty of new money from many emerging countries is looking for a better & safer refuge, often contributing in pushing prices up in the process. Let’s look at the Forbes/Savills list of the “Most expensive cities for luxury real estate”, and compare the results with another list, published by the Telegraph in the UK, showing the ranking of the costliest world cities, as far as cost of living. If you are looking to purchase a pad somewhere on the planet, be aware that, everything being equal, the highest price tag will be found in Hong Kong. The Chinese island territory is not getting any bigger and buildings compete for the little space they can find, even on vertical slopes. A year ago, high-end housing averaged about $11,000 per square foot. 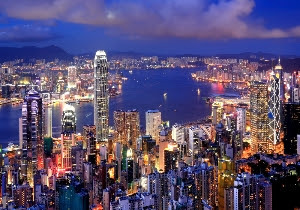 As prohibitive Hong Kong is on the real estate side, it does not make the list of the priciest cities to live in. How nice. You can always stay in a hotel and enjoy playing tourist rather than going for broke buying a condo! Tokyo is number 2 in the world for real estate. Forbes mentions that an opulent mansion-sized home totes a market value of… $121.6 million. Life is far from cheap either in Tokyo. Japan’s capital city ranks at the sixth place, tied with other renowned towns like Geneva, Caracas and Melbourne. Next is London. On the list established by Savills and published by Forbes, we can read that the average billionaire abode, around 7,900 square feet, costs $42 million. A terraced house recently traded for close to $120 million. Interestingly enough, the price of everyday goods is OK.
Paris is #4 on the real estate list. If you cannot afford Hong Kong, or Tokyo, or London, now you know where to go! Don’t look for a deal though, as thousands of foreign nationals from Russia, the Middle East… and everywhere else, are fighting for a piece of the City of Lights. When it comes to the cost of living, be ready for another hit on the wallet: Paris is the most expensive city in Europe, and the second most expensive in the world, behind Singapore. According to the list of the most expensive cities for luxury real estate, Moscow comes next. A bit of a surprise, although Forbes is telling us that Moscow has the largest community of billionaires in the world. So much for buying a cheap vacation home on the Moskva River! And then, there is New York! The Big Apple does not seem very affordable when you consider large ticket purchases close to $90M for a penthouse over Central Park, but you still can get great real estate and a good life for the money. N.3 is… Oslo, a town of only 650,000 in booming Norway. Who would have thought? To round up the top 5, we go Down-Under to Sydney, where the dollar does not go very far. Your turn to test the real estate market around the globe, and enjoy your stay, however expensive it may be, in all those fascinating cities!